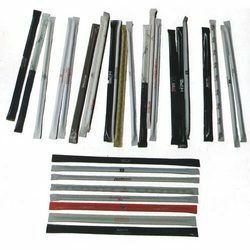 Leading Exporter of printed prepacked straws from Mumbai. We are a preeminent organization that is engaged in wholesaling, supplying and exporting finest quality Printed Straws. Our range is sourced from most authentic vendors of the market with the help of experienced procuring agents. The logistics personnel appointed by us make sure that the consignments are timely delivered at clients’ doorstep.